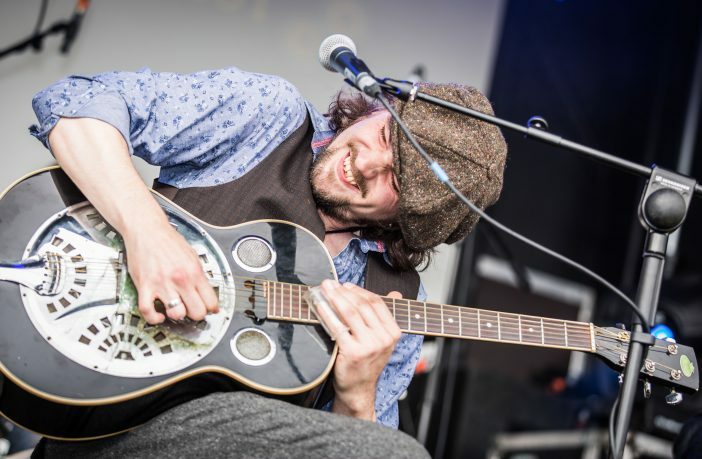 Two exciting new performances emerging on the Northern Irish theatre and music scene, takes to the stage in Downpatrick over two weekends, as part of the new Spring programme of live shows at Down Arts Centre. 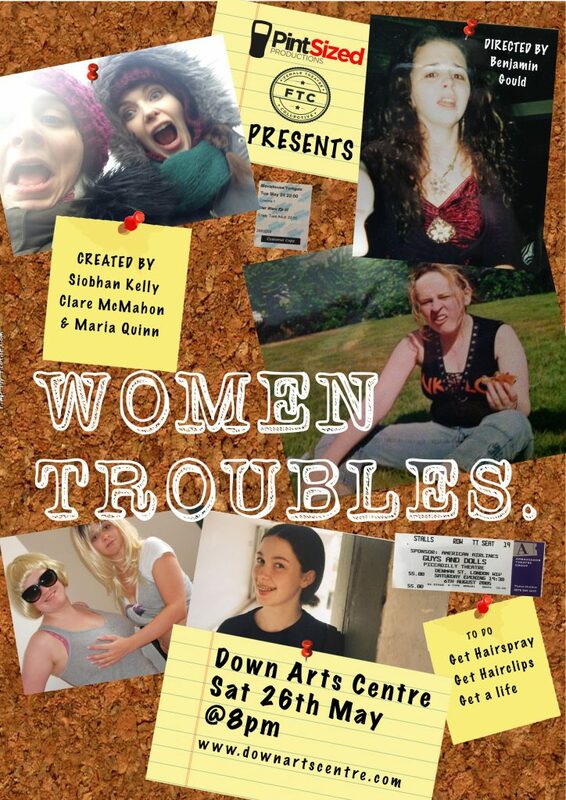 On Saturday 26 May 2018, up and coming theatre company Female Theatre Collective will present their brand new show ‘Women Troubles’. This new play is written and performed by talented trio, Siobhan Kelly, Clare McMahon and Maria Quinn and tracks their hilarious journey trying to ‘make it’ in the toughest industry in the world – the arts. The play follows the women from age 13, when the three best friends first met whilst auditing in Belfast during the summer of 1999. They soon find themselves exploring first love, first heartache, GCSE’s, unplanned pregnancy, sexual harassment, deciding to be an actor, going to drama school and trying to make it on the big stage whilst approaching 30 years old. Hot on its heels on Friday 1 June 2018, is the electrifying country blues rock band, The Hardchargers, performing songs from their debut album ‘Scarecrow’ which was released earlier this year. Led by Lonesome Chris Todd, this is a band steeped in inspiration from the greats of the country blues – Blind Willie McTell, Blind Willie Johnson, Bukka White, Willie Brown and Lightnin’ Hopkins. 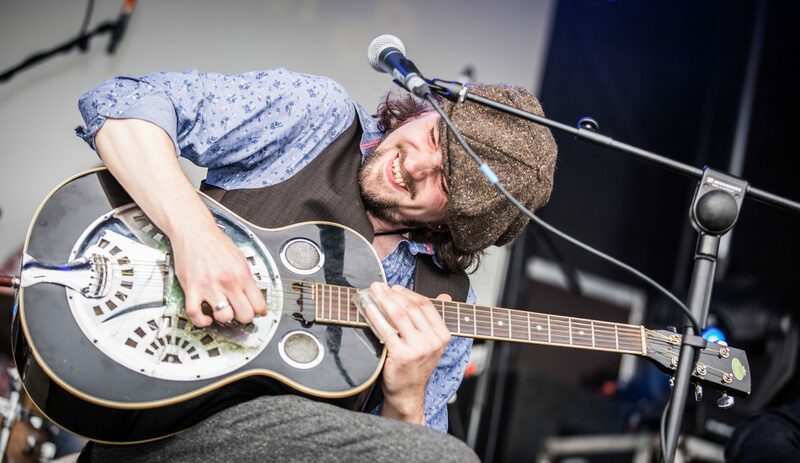 The Hardchargers’ live set is an electrifying re-imagining of the Mississippi Country Blues with the lyricism of Lonesome Chris’ real-world blues and a musical language exquisitely refined from all of Blues and Rock history. Both performances begin at 8pm with bar facilities from 7pm. Tickets for shows are priced at £12 and £10 concession and can be booked at Down Arts Centre Box Office on 028 4461 0747.